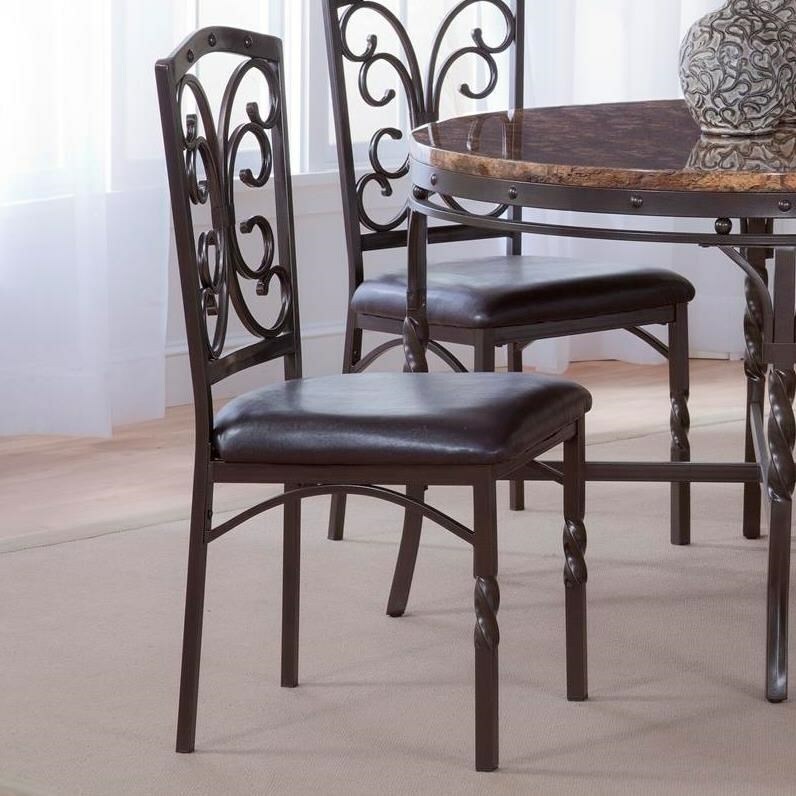 This metal dining side chair has a traditional scroll back detail for charming style. Chocolate brown faux leather covers the seat for comfort and style. The Tuscan Metal Side Chair with Scroll Detail at Miskelly Furniture in the Jackson, Pearl, Madison, Ridgeland, Flowood Mississippi area. Product availability may vary. Contact us for the most current availability on this product.